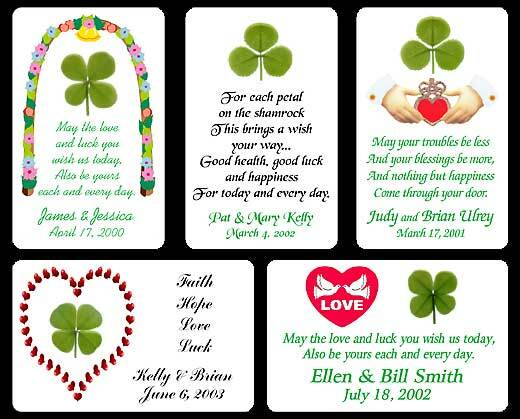 A Four Leaf Clover or Shamrock on a Personalized Wallet Card. Full color imprint with no set-up costs. Choose a four leaf clover or shamrock leaf. Design your own card or let us design one for you.